Did you know that online purchases account for only 8.3% of all retail sales in the US? This data is good news for brick and mortar businesses because it means that customers are still making their purchases in person. What has changed is how we discover businesses. Increasingly, we use our mobile devices to find what we need, which means that being findable online — specifically on Google Maps — is critical to potentiating sales. What Is a Google Maps Listing? A Google map listing includes pertinent information about your business including your name, opening hours, location, and phone number. With phone books now obsolete, Google’s local business listing platform is where most searches begin and where clients find you. 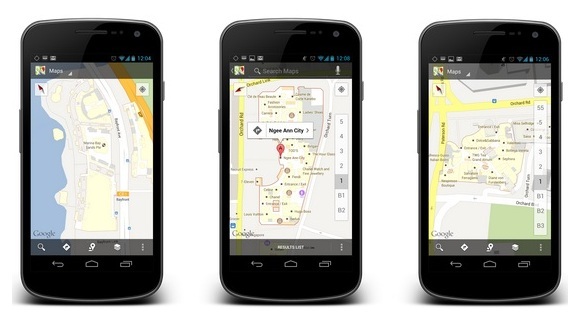 Why Is a Google Map Listing Important? Someone performing a mobile search for a business likely has an immediate, local need. This person uses search engines to narrow down their choices, and that’s where Google map listings come into play. Google map listings make it easy to find things close by. If you search “Chinese restaurants near me,” Google’s Map Pack shows you the top 3 most relevant local listings near you. This is called the 3-pack, and if you can get into the 3-pack, you’re likely to increase your conversion rate significantly. Optimizing Your Google Map Listing. So how do we get into the 3-pack? It’s far from a science, and there are no guaranteed ways to get there, but there are several Google map optimization best practices we can utilize. You may have a Google Maps listing without knowing it, so your first order of business is to claim your listing. This allows you to manage how your business information appears on Google platforms including Search and Maps, which is crucial because often listings are incomplete. Google provides a step-by-step explanation of how to add or claim listings. After claiming your listing, the next order of business is ensuring NAP (name, address, and phone number) accuracy. It’s critical that your NAP information is accurate not just in your Google listing, but everywhere it appears on the Internet. Ensure consistency across listings on sites such as Yelp, Bing, and Local, because your business may not appear in Google Maps if there are discrepancies. Google uses categories to help searchers find what they’re looking for, so pay attention to this area when setting up your listing. Choose ones that describe your business as closely as possible and max out the five categories available to you. Make sure your main category closely matches the primary keywords you’d like to rank and max out secondary categories as well. Uploading beautiful photos and videos of your business is an excellent way to round out your listing. Pictures highly influence consumers’ decisions to visit a store, especially places like bars and restaurants, so this is one area to pay special attention to. It sounds obvious, but opening hours should be as easy as possible to find. Searchers generally have a pressing need and want to know if an establishment is open right then, so not listing your business hours can negatively impact you. Reviews are a great way to optimize your Google Places listing and help improve your ranking. Even if you’re already in the 3-pack, you want to be the most attractive option. One way to distinguish yourself from those other top businesses is by having more/better reviews. Add your Google Maps review link to places like your email signature and invoices. Plus, you may want to implement a review generation strategy not only on Google Places but also on platforms such as Yelp and Local. Finally, don’t forget about optimizing SEO on your company’s website. Your Google Maps listing is just one part of a moving whole that includes your web presence. Hook Agency created this New York SEO video explaining what SEO is and how it makes companies money. Optimizing your Google Maps listing requires some effort on your part, but most of the things mentioned are fairly straightforward. Keep up-to-date with algorithm changes and reassess your strategy if things don’t change after several months. And lastly, as with all things ranking related, patience and perseverance are essential if you’re hoping to break into the 3-pack. 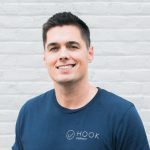 Tim Brown is the Owner of Hook Agency, a Minneapolis web design company focused primarily on driving traffic and leads for small businesses and construction companies. Tim is the author of “Growthhackathon: Digital Marketing on a Budget“, writes for Forbes, and has been featured on NBC and NeilPatel.com. Next Next post: Twitter Link Roundup #354 – Terrific Reads for Small Business, Entrepreneurs, Marketers, and Designers!